Not even when the debt is paid. $0.99 on Kindle. Find more books like "Fair Trade For Love" on kobovskindlereviews.com. We feature both reviews of ereaders and discounted + free books on Kindle. Browse more books in the Romance. 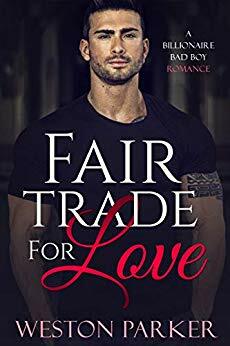 Disclaimer: "Fair Trade For Love" price was accurate on April 12th, 2019. However, Amazon Kindle book prices can and do change frequently and without notice. Before you buy a book on Kindle, it's best to double check the price. If you purchased a Kindle book that you thought was free, you can return it by following the Kindle book return instructions here.